I’m not convinced by Lisa Nielsen’s post about cellphones in the classroom. I take particular grievance to the idea that setting a double standard is bad: that teachers are allowed to use their cellphones but students cannot. Since when are students and teachers on the same level? 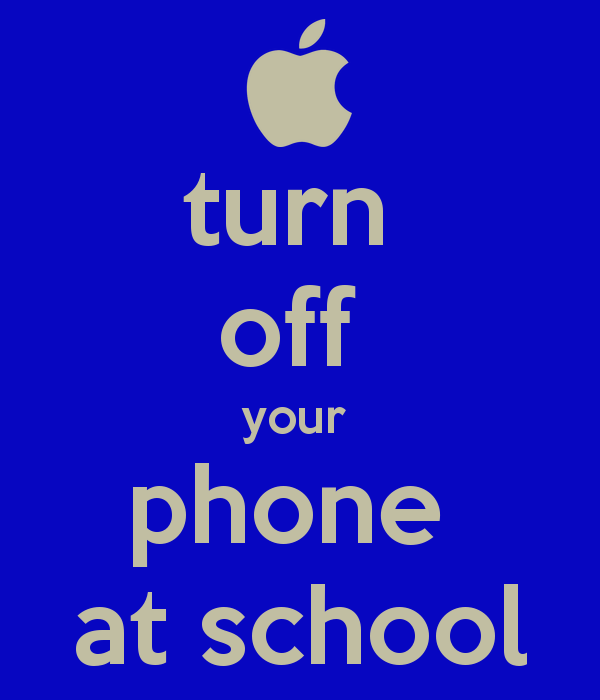 A teacher might need to have access to phones in case of emergency (if a student had a seizure, for example). That does not mean that the teacher is being rude or is depriving students. The teacher has additional responsibilities that the students do not, and therefore a double standard is necessary. A teacher can still be a role model with this difference in mind. A teacher can have more tools than students can because the teacher is in charge. The end. I also think that there is plenty of time for students to learn how to use their phones outside of the classroom. Classroom time should be saved to instruct students on material that they are not also learning outside of the classroom. If cell phone use is as important and basic as the Nielsen claims it is, then students will surely know how to use a cellphone on their own. For example, general education teachers don’t (often) teach students how to eat or use the bathroom. Finally, I think that incorporating cell phones could hurt the feelings of disadvantaged students. Not every child can afford a cell phone. Why embarrass the student? I’m sure the student has already noticed that most others have cell phones while he/she does not. There is no need to make the child admit this to the entire class. Also am anti-BYOD because of socioeconomic factors but had not thought about the first two arguments. Does seem pointless to spend time on something that is non-SOL and will be getting 2+ hours of usage a night when Math HW should exceed 20 minutes. The idea of teachers and students having the same privileges is absurd. As long as the teacher is not being unprofessional with it and not flaunting their ability to use it during school, it is completely appropriate to have a double standard.